Stop an interstellar war before it even begins! The solar system is under attack! Enemy Super-Dreadnoughts are in orbit around each of fifteen planets in this galactic sector. They are draining the mineral resources from the planetary cores for use in their interstellar power units. If nothing is done, a new age of alien tyranny will begin! At the helm of your Manta fighter, you must destroy the enemy fighter patrols, neutralize the Dreadnought surface defences, then land and destroy each ship. Can you save the galaxy? Not long after I convinced Arturo Ragozini and his collaborators to let Team Pixelboy publish Deep Dungeon Adventure for the ColecoVision as part of the budget series (which was designed to help my friend Óscar Toledo Gutiérrez with the medical bills of his wife and newborn daughter) I also managed to score a publishing deal with Arturo for the ColecoVision port of another of his MSX homebrew games, Uridium, which was submitted to MSXdev'14. 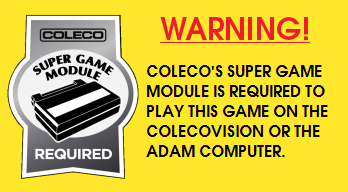 The port to ColecoVision will be done by Óscar himself, and the release is planned for 2018. Part of the money from the sales of this game will be going to Óscar, so Uridium (along with Arcomage and QBIQS) can be considered an extension of the budget series. The MSX port of this game was done by Óscar Toledo Gutiérrez, with some exclusive additional features implemented by Arturo Ragozini. Here is a YouTube video of the MSX version of Uridium. 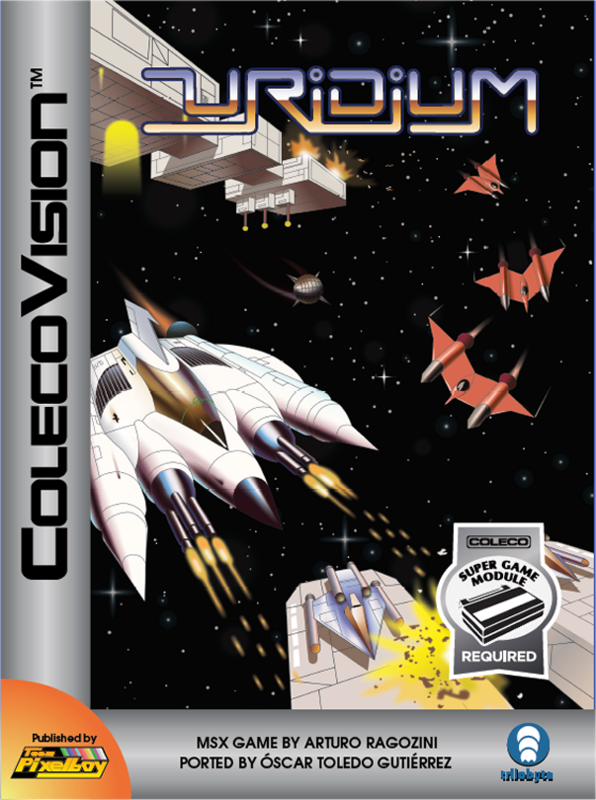 The ColecoVision version looks and plays the same as what you see below, but the ColecoVision version will have speech samples playing during the game.